In 1904, the notorious “underbelly” of Greenwich Village was born. This underground scene had nothing to do with rock ‘n’ roll or the Beatnik movement – it was the building of the first subway line through the Village. This IRT East Side Line was revolutionary. It replaced the elevated rail system and changed the way the people of Greenwich Village lived and traveled. This exhibit will explore the construction, opening, and cultural impact of New York City’s first subway line, the IRT East Side Line. New York City’s first subway line, the IRT East Side Line, began service in 1904 after a four-year construction project. The East Side Line was the beginnings of today’s Lexington Avenue Line, or the 4-5-6. This IRT East Side Line was revolutionary. It replaced the elevated rail system and changed the way the people of Greenwich Village lived and traveled. 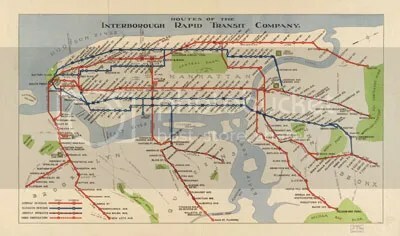 An early map of the IRT subway lines. The new East Side Line had a large cultural and economic impact on Greenwich Village in the early twentieth century. 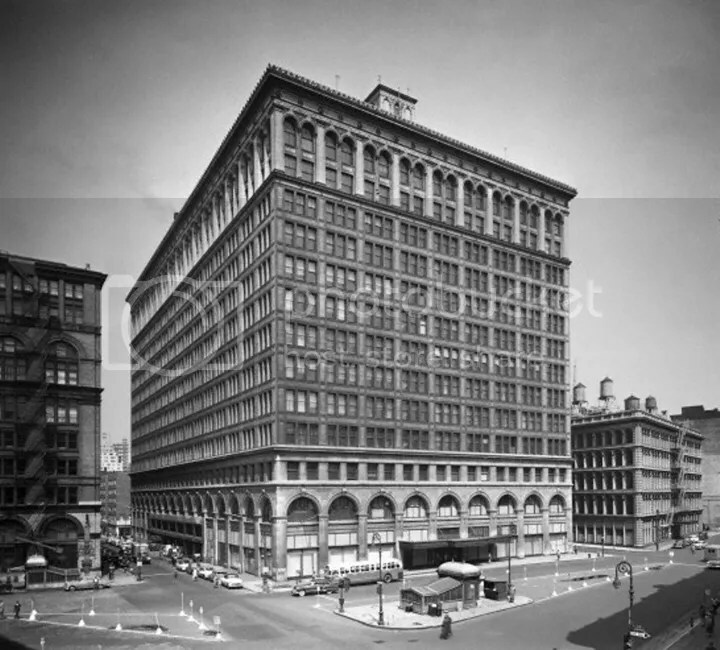 In 1905, John Wanamaker, conscious of the economic importance of the subway, paid $2,171 to have an entrance to his department store built in the Astor Place station. The kiosk entrance to the Astor Place Station is in the foreground. Wanamaker’s decision illustrates the importance of the subway to the many businesses in the Greenwich Village community. Wanamaker was an innovative entrepreneur. As a prominent merchant in early-twentieth century New York City, Wanamaker experimented with and even invented several cutting-edge business strategies. His department store was one of the first of its kind in the country and was quite revolutionary. Wanamaker’s business philosophy, which dominated the retail operations of his department store, relied on fixed prices and guaranteed customer satisfaction. His department store included the first in-store restaurant – now a staple at most department stores in New York City. Wanamaker is also believed to have invented the White Sale, a marketing strategy in which the store deeply discounts merchandise at a time when sales are slow. Wanamaker’s treatment of his employees was also revolutionary – he gave his employees free medical care, education, recreational facilities, pensions and profit-sharing plans before such benefits were considered standard. Wanamaker’s decision to link his store to the new subway can be seen as another revolutionary (and successful) effort. Because the subway allowed customers to travel more easily to and through the Village, even if they did not live in Lower Manhattan, business increased for many of the stores in Greenwich Village. Astor Place, for example, became a hub of shopping activity. Wanamaker’s decision to directly attach his store to the success of the subway was therefore both literal and figurative. Today, Wanamaker’s subway entrance at the Astor Place Station is now the entrance to K-Mart at 770 Broadway. In fact, K-Mart has employed Wanamaker’s concept of linking stores to the underground subway entrances throughout New York City. There is also a subway-level entrance to K-Mart’s 250 West 34th Street location at the 34th Street/Pennsylvania Station subway stop. Just as the subway-level entrance helped Wanamaker’s business thrive in the early twentieth century, K-Mart is employing the same strategy to increase its business today. As Wanamaker understood back in 1905, the subway carries business directly to your doorstep.